Vacation is a time to relax. But when you start wondering if everything is OK at your house, intrusive thoughts can creep in and stand in the way of your good time. Is the pet sitter actually showing up as promised? I wonder if that thunderstorm damaged the deck? Did I remember to lock the back door? 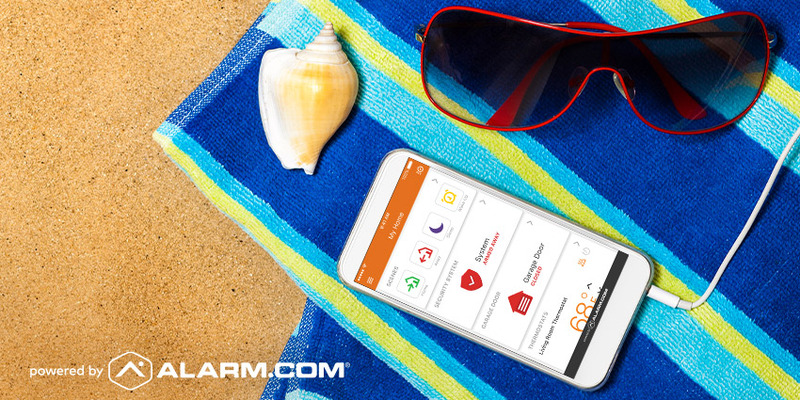 When you're carrying a hi-tech connection to home—your smartphone with the Alarm.com app—you can put those worries to rest. 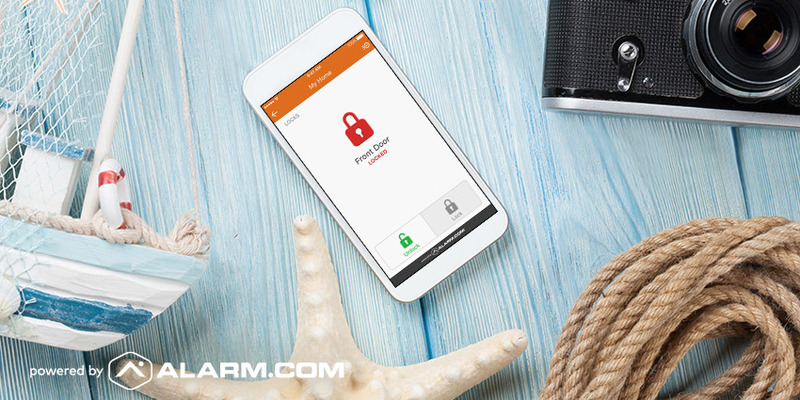 Here's how smart home security frees up your headspace so you can get back to the business of enjoying yourself. First, you can stop wondering if you really, truly remembered to lock the back door, close the garage or arm the security system. By setting up Alarm.com reminders for these actions, you can have a proactive reminder if you forget any of them (and you can always check your app if you get the twitch to make doubly sure). You'll also enjoy a whole new level of carefree traveling if your home is professionally protected. With 24/7 monitoring options, your system can signal for help in the event of a fire or break-in, alerting your monitoring station to dispatch emergency services. Even with a trusted neighbor looking in on your pets a couple times a day, it's always good to confirm that your animal companions are safe and cared for. It's easy to create a "pet-sitter alert" by giving your pet-sitter their own user code, which can trigger a smartphone alert every time they arrive. If you prefer, a no-show alert will only disturb you if the sitter doesn't show. Meanwhile, with smart video monitoring, you can easily look in on your pets anytime. When your house is unoccupied, small problems can escalate into large ones. A sudden water leak, which you'd normally spot quickly, can turn into a flood. A door left unlocked can blow open in the wind and stay open overnight. Smart home security can detect events like these and alert you proactively when they happen, enabling you to make an emergency call to a friend, neighbor or contractor and send them straight to your home. If you're wondering how the emergency plumber would get in, a smart lock makes it easy to give immediate access to your home. A smart video doorbell, combined with a smart lock on your front door, lets you verify a visitor's identity, let them into the house if you choose, then secure the door again when they leave – all from your phone. It's not just useful in emergencies. After all, life goes on even when you escape to paradise. Delayed packages show up and family members need to borrow things. 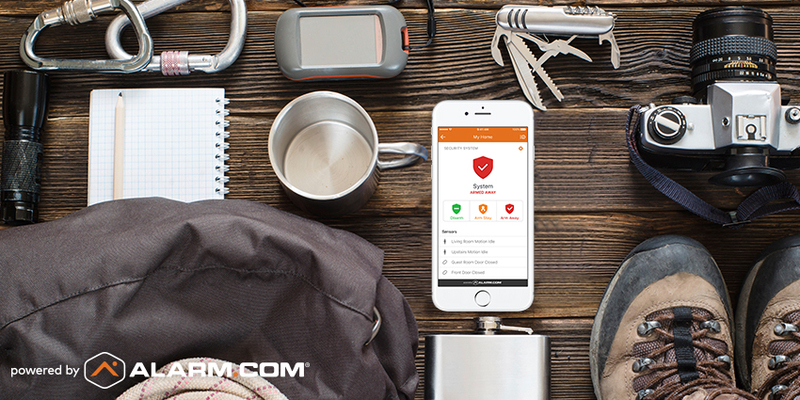 Alarm.com-powered access control makes spare keys a thing of the past. 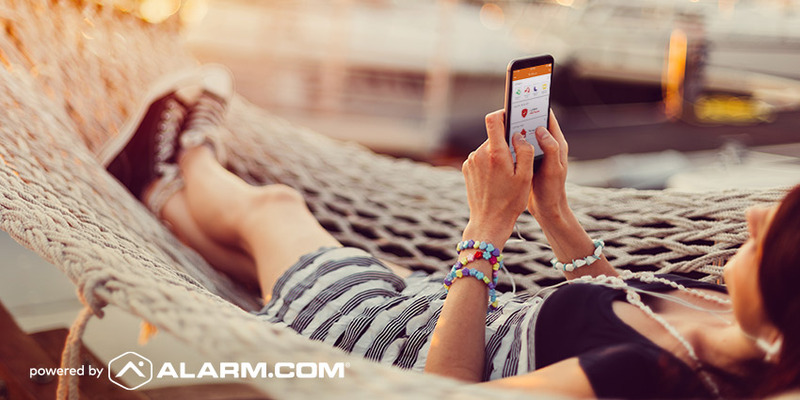 The beauty of the Alarm.com-powered smart home is that all devices can communicate and cooperate with each other. 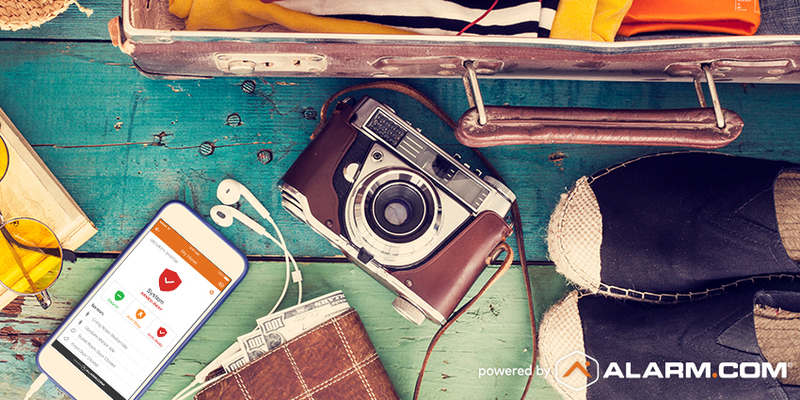 For example, you can set things up so that when you arm your system "away" as you leave for vacation, your smart thermostat automatically sets back to save energy. Even better, you don't have to come home to a too-hot or too-cool house. You can enable Alarm.com's Geo Services to alert your system when you're getting close to home, triggering your thermostat to make things comfortable for you in advance. 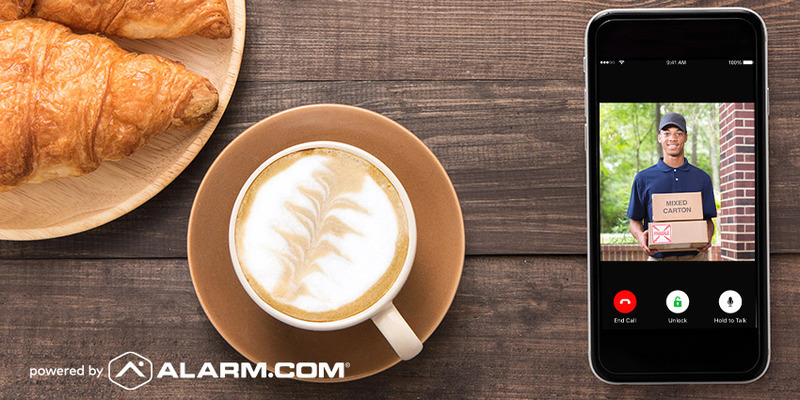 Want five more reasons to get smarter home security from Alarm.com? Click here.